In April 2014, Giovanna's raised $2570 to Support the Boston Children's Hospital. Thank You Everyone!! In October 2013 Giovanna's raised $1500 for Breat Cancer. Thank you to all that participated in the Pink Hair Extensions for Breast Cancer Program & thank you to our amazing staff for donating their time again! In October 2012 Giovanna's raised $550 for Breat Cancer. Thank you to all that participated in the Pink Hair Extensions for Breast Cancer Program & thank you to our amazing staff for donating their time! 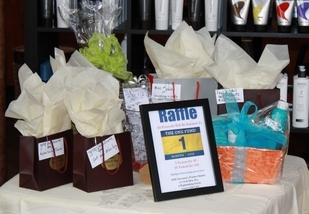 On May 5th, 2013, Giovanna's hosted a Cut-A-Thon. The $4000 raised is being sent to The One Fund - Boston.